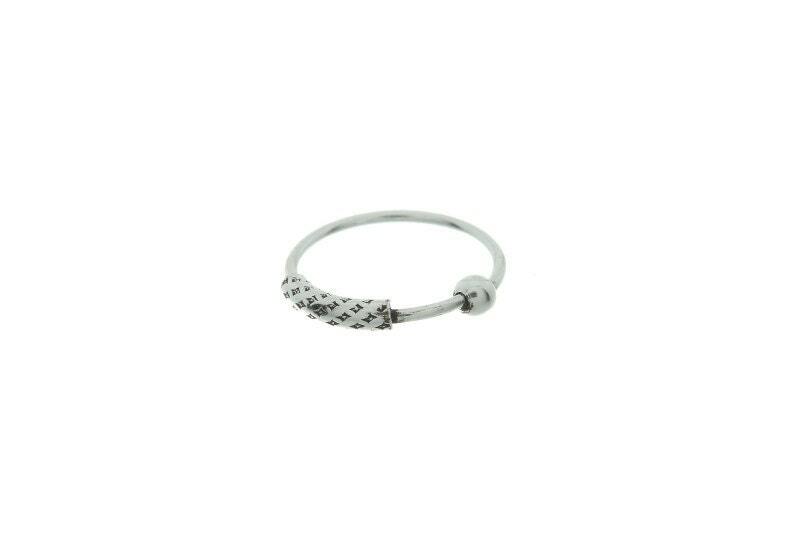 Sterling silver nose hoop with lovely textured accent design. Easy open and close style. Very cute and sweet - it does feel a little "sharp", normal sized gauge. Easy to take in and out - I don't keep it fastened at the bead, I found that it would irritate my nose if I did.